Plaxo, sometime in the next few hours will ship an online identity consolidator (that’s what they call it) based on microformats. What does that do? Lets you keep track of your identity from a group of online social networks. 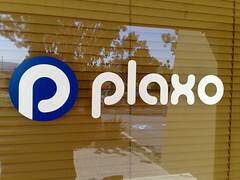 I spent some time at Plaxo this afternoon and already have the video up. Why is this important? Because we keep our identity (and a different social network) on so many different sites. For instance, I have a separate social network on Yelp, Twitter, Pownce, Jaiku, Facebook, Flickr, Upcoming, and other sites. What if one place could aggregate all your social network info from all these different places? Wouldn’t that be interesting? Yes, it would. That’s what we discuss in the video. Next Post Google Facebook app a hoax? The NEW Plaxo is a great tool. I have used it to link my Mac Address book and Mail, I also have synched my LinkedIn, Gmail and other accounts into Plaxo and thus also my Mac Address Book. I am pleased to say that unlike the past Plaxo has not spammed any of my contacts. This online identity consolidator tool is a good attempt via XFN to consolidate all of my social accounts and identities. I will be testing this tool today. The one tool I am using that is essential is the FaceBookSync app on the Mac so I can sync this to my Mac Address Book and then my Plaxo. Really impressive and congratulations. Plaxo really has managed to turn me from a Plaxo hater to a lover, in the sense of that before they were just spammy, but now they do something useful. What better way to wake up in the morning to this! Awesome! I even dragged my CTO out of bed to watch it and told him to implement everything you guys spoke about into our new startup. I’m heading your way next week from Barcelona to Marc’s Data Sharing Summit. You guys going to be there? This is an interesting announcement, but there are already competitors in the marketplace, such as Profilactic, which take all your sites and present them all in one page. Time will tell how useful this is. It’s been months since I made it more than 20 seconds into one of these videos. I’d really like to see transcripts so my attention isn’t being continually assaulted by that laugh. Sam – you might take a look at the Facebook Address Book application for syncing to your Mac. Eugene profilactic is yet another site for me while Plaxo has my address book and can give me this as an additional feature. Also, I had a quick look at it and I do not see how they are offering up a) soemthing which can be deployed as open source for everybody to play with it and b) help me make those connections. It is the place collecting everything and distributing, but does not help me solve the problem of syncing. Something as it seems nobody except Plaxo really seems to understand. And Robert, if you can’t hook up with Maria to let her show you Linqia this time, you have to make time for her when she is back in October. Here’s my concern about Plaxo: I trust their privacy agreements, but what if Plaxo is sold? For example, say Plaxo has my contact info and many of my friends’ also. Everything is fine and protected. But say someone else like Amazon buys them out and has all the contact info. Amazon isn’t held to the same privacy if they don’t want to, right? At least this is my concern. Can you address that? If I feel comfortable with that, I’d love to use them. It’d solve many situations I’m trying to overcome. rob: that is a risk, but generally all the bigger companies that would buy Plaxo have similar privacy agreements. Also, it wouldn’t be worth the bad PR for any bigger company to break any previous privacy agreement. Pingback: What is Plaxo Pulse? | The Flat Planet and a Phone !